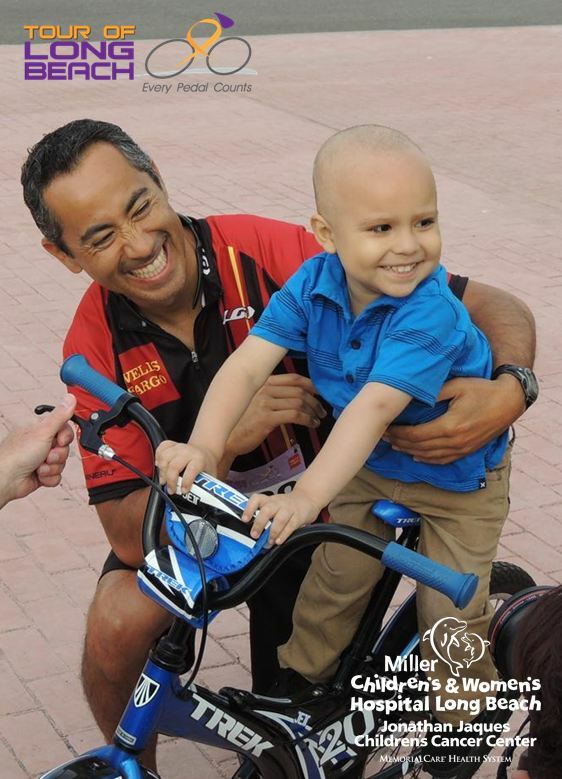 Photos courtesy Miller Children’s & Women’s Hospital Long Beach. 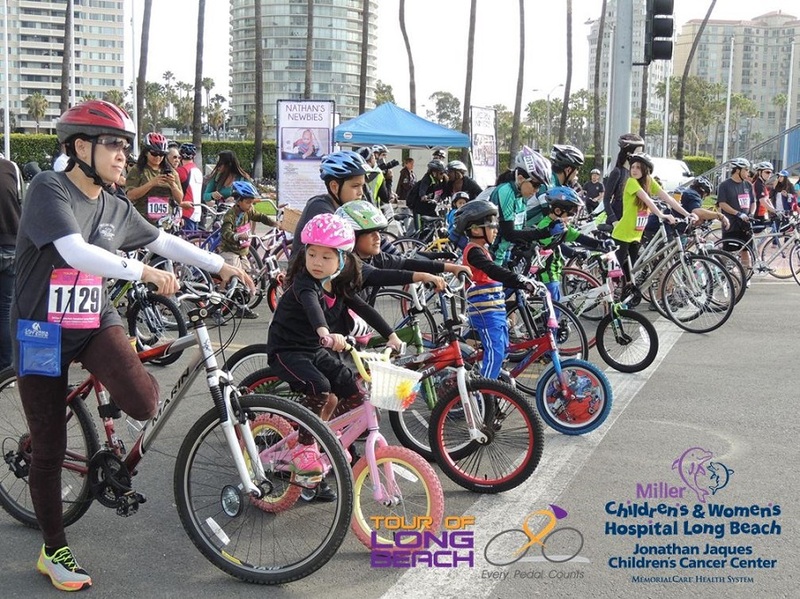 Thousands of amateur and professional cyclists are expected to take part in the sixth annual Tour of Long Beach this Saturday, with proceeds benefiting pediatric cancer research at the Jonathan Jaques Children’s Cancer Center, part of Miller Children’s & Women’s Hospital Long Beach. The 30-mile, 62-mile and 100-mile rides — designed by Olympian cyclist Tony Cruz — will offer scenic views of the beach, parks, waterways and various neighborhoods. The 30-mile Tour of Long Beach ride will begin in Downtown Long Beach at the Long Beach Arena. The 62-mile Metric Century ride will begin with the tour route and continue south through Seal Beach, Huntington Beach and Newport Beach. The 100-mile Cruz Gran Fondo — to be led by Cruz himself — will also follow the tour route then ride down Pacific Coast Highway through various Orange County cities. The first wave of tour riders will begin at 8AM, with the start line at the intersection of Shoreline Drive and Linden Avenue, adjacent to the Rainbow Lagoon Park. Other participants include a group of pediatric hematology/oncology care team members from Miller Children’s in honor of their pediatric cancer patients. Mayor Robert Garcia is also expected to attend the race, calling all riders to their mark. Wells Fargo officials will also present a check at 7:30AM to the JJCCC. The ride event will conclude with a Finish Line Festival at Rainbow Harbor, beginning at 9:30AM, featuring live music, a beer garden and a vendor fair, according to event organizers. For more information go to www.touroflongbeach.com.